If you have recently been shopping for a new optic, there is a great chance you have noticed the market is flooded with options. From hunting scopes, competition scopes, spotters, etc… The industry has exploded allowing consumers the opportunity to find what is best for them. Not only do we have the luxury of fulfilling a specific niche with our optic of choice, we have the luxury of fulfilling this niche within a budget. Years ago it was difficult to find an optic that would satisfy both your needs and your wallet. Times have changed and we are in an era where superb glass can be had without breaking the bank. I’d like to take this opportunity to introduce an optic I have been using for the past six months. Initially, I was excited to start this review after using the Ares binos for about two days (I was blown away), but I wanted to make sure what I was seeing wasn’t a result of a delusion created by the massive amount of endorphins I had being released while handling these binos. So here we are, about one hundred and eighty days later, I still have the optics and am confident in writing a review that can showcase the quality of the Athlon Ares 10×42 binoculars. If you aren’t into reading lengthy reviews, here is your spoiler — I am just as impressed now as I was when I first used them. The Ares 10×42’s aren’t a new shiny from Athlon Optics, but they are a solid performer and most definitely a product to remain in their stable. This model utilizes the latest technology and lense elements to ensure consumers are getting the best product for their money. 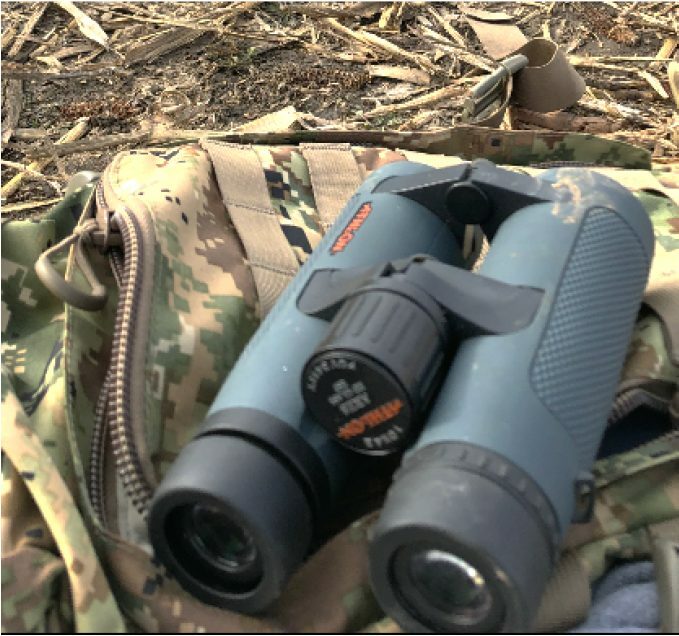 The Ares binoculars feature ED and Multi-Coated lenses (to correct color fringing and eliminate chromatic aberration) along with protective coatings to add insurance to your purchase. In short, these are characteristics shared with the most expensive optics sold today. In addition, the quality lenses are housed by a magnesium alloy chassis, making them durable. The Ares 10x42s are a solid piece of kit and built to last. This specific pair has been used and abused. My entire goal after seeing the impressive lense clarity and resolution was to find out where the “weak link” was. Was it in the chassis? How about the internals or seals? I’ve had these Ares 10×42’s involved in multiple shooting sport disciplines in multiple seasons. From deer hunting, range use, and precision rifle competitions, they have seen summer, fall, and winter. They have been exposed to a wide range of temperature and weather conditions, from ninety degrees fahrenheit, to nine degrees fahrenheit, rain, sleet, and snow. They have been packed loosely in my Eberlestock Lodrag, and dropped in the field. No matter what I put them through, they perform now as they did new. I am beyond impressed as I thought this type of performance could only be had in optics costing three times as much as these Ares 10×42’s. My eyes or yours, everyone sees differently. Simple psychology and past experiences can attribute to our flavor and perception. Yes, this is a subjective topic, but I don’t think discussions of optical performance are fully subjective. Point being, a good piece of glass is easily noticed. The Ares 10×42’s are a solid performer at the price point (approximately 400.00) they can be had for. To be honest, they are a solid performer in a class that doubles this price point. I’ve been behind a lot of glass, mostly during precision rifle competitions. This is where shooters have an opportunity to see a large variety of optics, and many of them are well out of my budget. After running the Ares 10×42’s in a few matches, my eyes don’t desire any more than what these offer. Spotting impacts from 6mm and 6.5mm projectiles is easily attained out to 600-1000 yards. Not to mention, spotting bullet trace as been phenomenal with this glass and has most definitely bought me points by seeing wind drift and allowing me to make corrections. Below is a picture taken through the left half of the Ares’s 10x42s. Yes, only one half of the optical system is used in this photo, with an Iphone. Targets are three hundred and thirty yards. The house and building in the background is over two miles. The color and resolution is superb — even after the light has exited the eyepiece and into the camera of an Iphone. Unfortunately, this isn’t an answer anyone can accurately provide. More power doesn’t always equal better “seeing” ability. What we need to focus on here is resolution. The better an optic can resolve an image will determine how far the user can see, with the specific optic. The resolution the Ares 10×42’s provide will make any consumer happy. 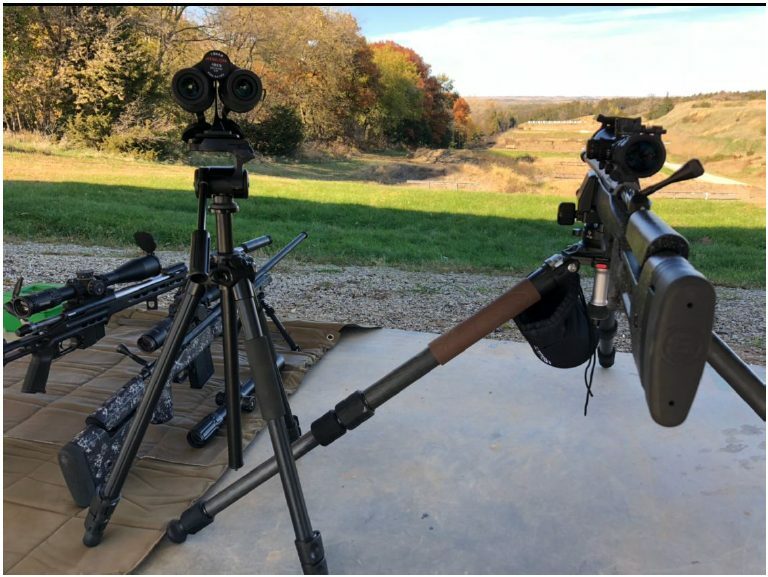 If you use the image above, you can easily resolve the target boards, steel plate, paper targets, and all the vegetation surrounding the target berm. In addition, you can see the eroded edges of the target berm. This is because of the superior capabilities and ED lenses of the Ares 10×42 binoculars. What’s most impressive when looking at the above image is that nothing beyond the target boards had been focused prior to taking this photo. But, all of the structure beyond looks to provide a respectable image. It was a fun day at the range comparing a lot of glass! Notice the Ares Binoculars on the Tripod? Just another feature that highlights the quality characteristics of these binoculars. 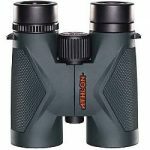 If you are looking for a set of binoculars, the Athlon Ares 10×42’s needs to be on your shortlist of choices. They are top tier contenders at a price point that will allow you to put your remaining Benjamins into ammunition and other accessories. Check them out, you won’t be disappointed. Excited to learn more about our product from real world reviews? 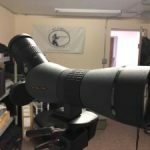 Check out the Binocular Guru’s Review HERE…..